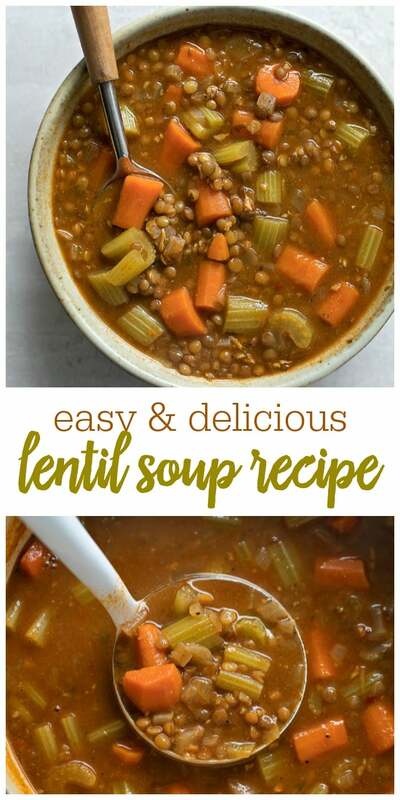 Homemade Lentil Soup that is light, hearty and healthy. Loaded with chunks of carrots, celery, lentils and spices, you can also add your favorite protein to this already delicious recipe. 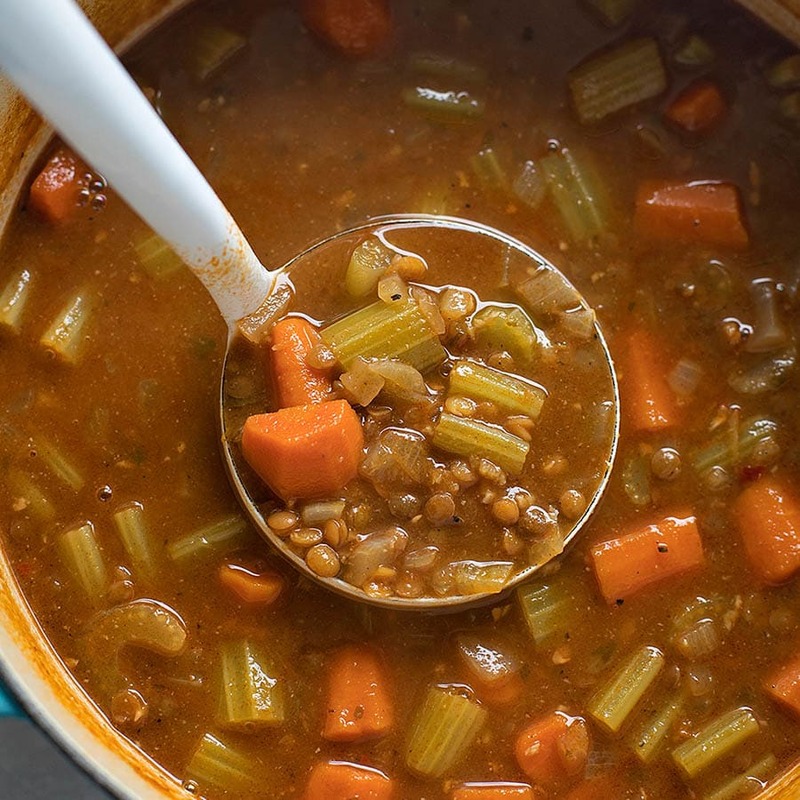 We absolutely love soup recipes and adore today’s recipe for lentil soup. Not only is it easy to make but it’s really easy to customize! 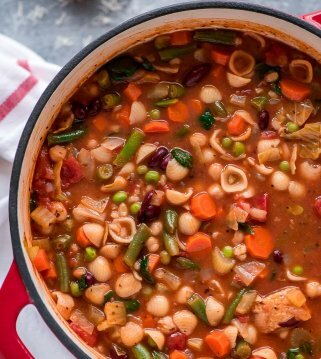 This soup is light and hearty, and best of all, healthy (similar to our chicken veggie soup and light chicken tortilla soup)! It’s loaded with big chunks of carrots and celery and has a kick to it thanks to red pepper flakes. Of course, if you don’t want the added heat, you can certainly omit that ingredient. Sometimes we like to add ground sausage or pulled rotisserie chicken to bulk it up a bit. You can add just about anything to it and it will turn out delicious! 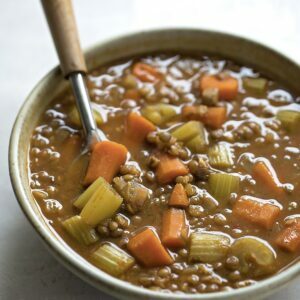 This lentil vegetable soup can be made in 45 minutes on the stovetop or in the Instant Pot. 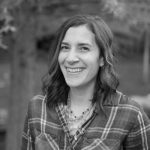 The time will be about the same- just with the Instant Pot you have the option of letting it “keep warm” for several hours if you plan on making it ahead of time. Lentils are mini legumes that are packed full of nutrients like protein, fiber and minerals. They’re basically little superfoods. 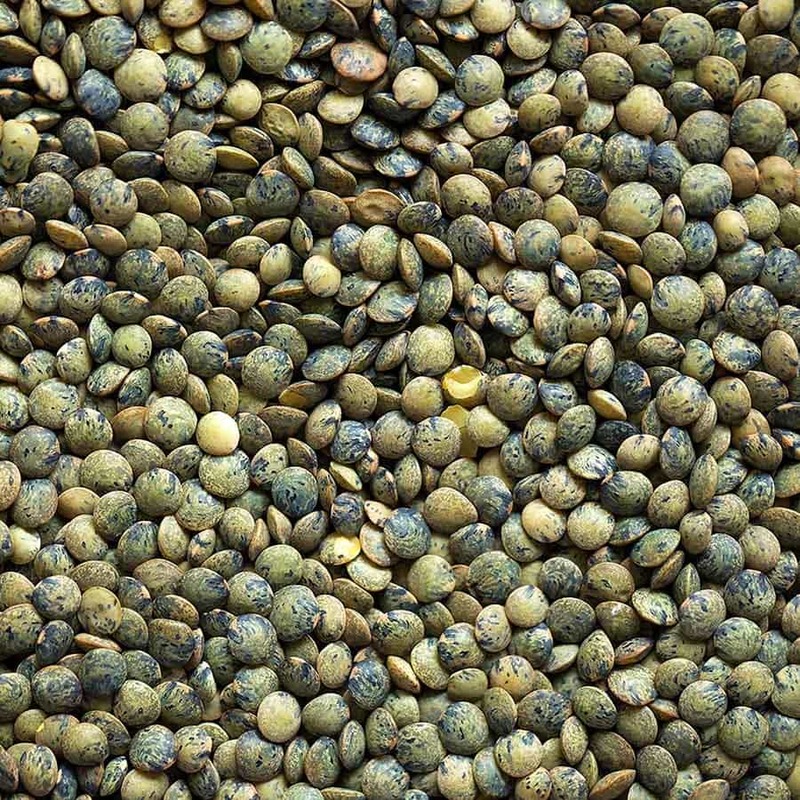 While there are several varieties of lentils, the most common types are: brown, red, green, French green, and black. The cook time for lentils varies depending on the variety. They can take anywhere from 20-40 minutes! For this recipe you will want to choose, brown, green or French green. These lentils tend to hold their shape more when cooked for longer periods of time. To prevent them from splitting, we’re going to saute them and use a little bit of acid in the form of vinegar and tomato. The lentils will cook as the soup simmers. In a large stockpot or Dutch oven set over medium heat, saute the vegetables until tender, about 8-10 minutes, add the seasonings and lentils. Cook for 5 minutes, then pour in the broth. Simmer for 25-30 minutes or until the lentils are throughly cooked. Serve warm with a garnish of fresh parsley if desired. How to store lentil soup and freeze lentil soup? Place in an air-tight container and keep in fridge for up to 5 days. To freeze, place in a freezer-safe Ziploc bag and freeze. You can keep this in the freezer for 4-5 months. 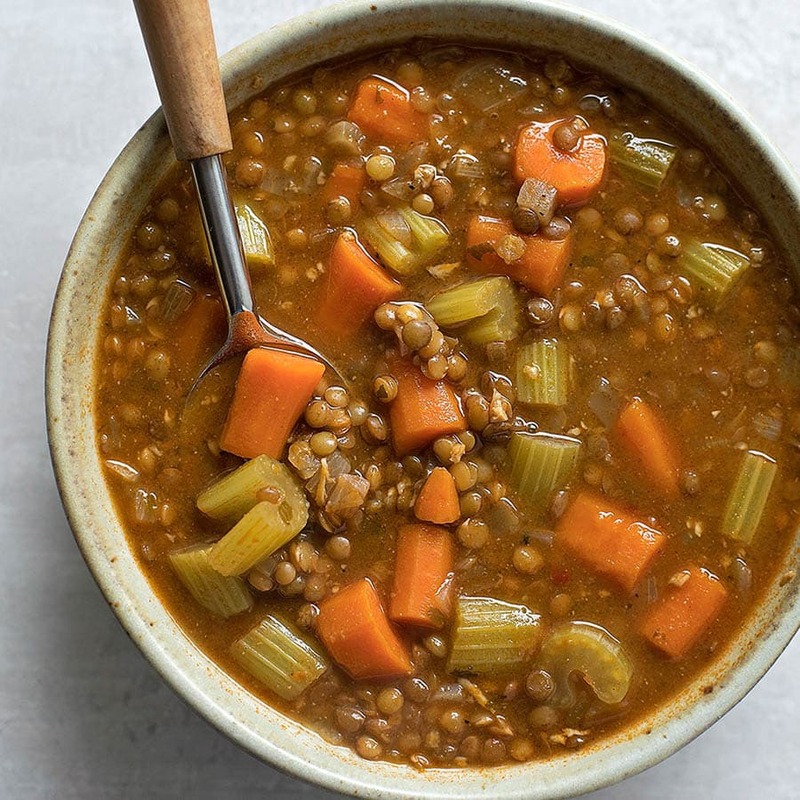 How to reheat Lentil Soup? If frozen, place in fridge to thaw overnight. To reheat, place in pot and cook on low-medium heat until heated through and ready to serve. 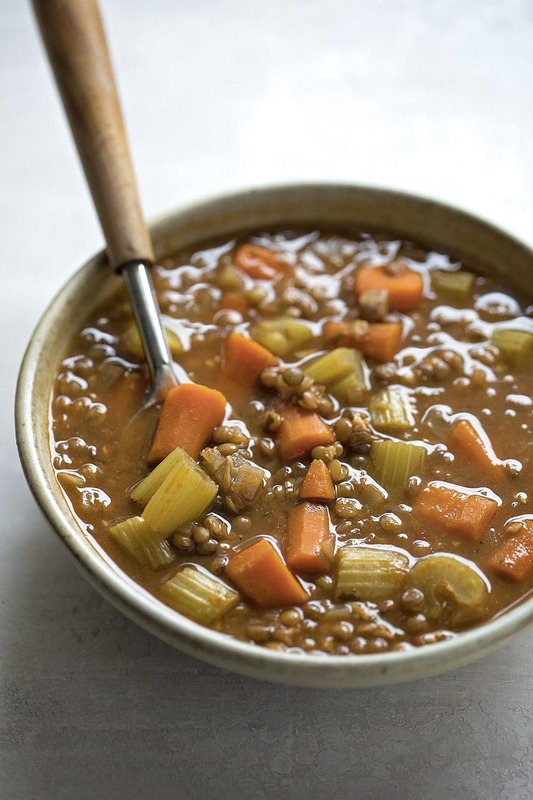 Can you add meat to lentil soup? Of course! We like to add chicken or sausage to this lentil soup. Just be sure to have this cooked up before making your soup and add it right before simmering. 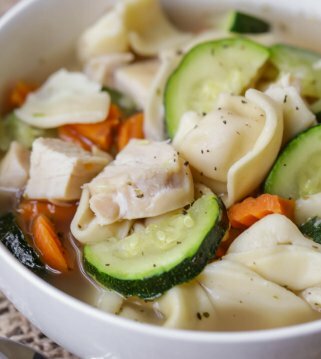 This soup can be kept warm and served later or refrigerated and reheated throughout the week for lunch (meal prep!) or for dinner on a busy weeknight. How to reheat: If reheating the entire pot of soup, add an additional cup of water, stir and reheat on the stovetop. If reheating individual portions, place in a microwave safe container and add 1 tablespoon of water, stir and heat until warm throughout. In a large stockpot or Dutch oven set over medium heat, add the olive oil. Once hot, add the onion, celery, and carrots, saute for about 8 minutes. Add the garlic and saute until fragrant, about 2 minutes. Sprinkle in salt, pepper, cumin, and red pepper flakes. Add the tomato paste, vinegar, and lentils. Stir frequently, cooking for 5 minutes. Add bay leaf and pour in broth. Bring mixture to a boil. Cover and simmer for 25-30 minutes or until the lentils are fully cooked. Stir in chopped parsley (optional) and serve warm. If adding sausage, cook in the pan first, remove from pan and set on a place. DO NOT ADD THE OLIVE OIL. Saute the vegetables in the oil from the sausage, then return the sausage to the pot after adding the lentils. If adding chicken, add the pulled rotisserie chicken (about 2 cups) during the last 10 minutes of cook time. So i have a rather large bucket of lentiLs in my long term storage that Ive never knOwn what to do with. This is the perfect recipe to use them in. I Like that this soup can stand alone or i can add chicken or beef to it. this soup is so good!! i love chicken and my boys like beef so when i made it i did half of each!! It was a win/win!!! we all loved it! I love lentils and this looks like such a delicious way to enjoy them! Such an easy recipe!! Healthy + delicious + easy = perfection…thanks! 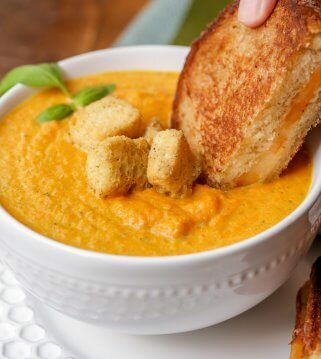 What a hearty & delicious soup!! Even my picky eaters, ate it! Thank you! Another great soup added to my list! I am always looking for more recipes with lentils! 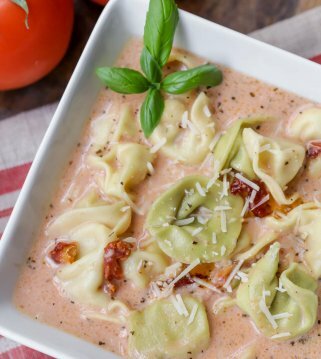 Loving this soup idea! 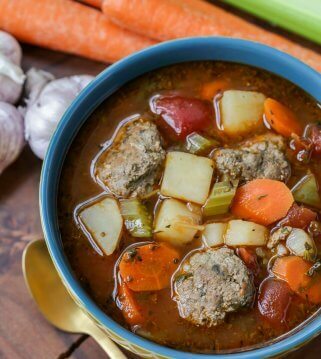 i love hearty soups for the winter!! going to weite down the ingredients so i can be sure to pick them up at the store my next trip!! Sure hope you try it & like it!! We are expecting a big snowstorm this weekend and I’m going to make a big pot of this to keep us all warm and cozy as we fall the snowflakes fall. A winter time favorite in my house! This recipe is fantastic. 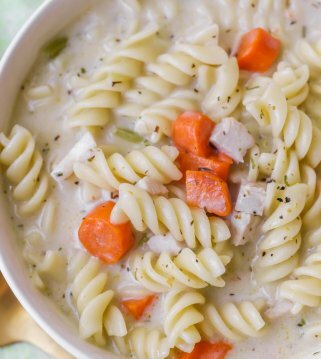 Such a versatile and healthy soup. You can make it up as is or throw a meat in it.This soup is great either way. Super easy! I love it! Thank you! I hope you give it a try 🙂 It is so good!